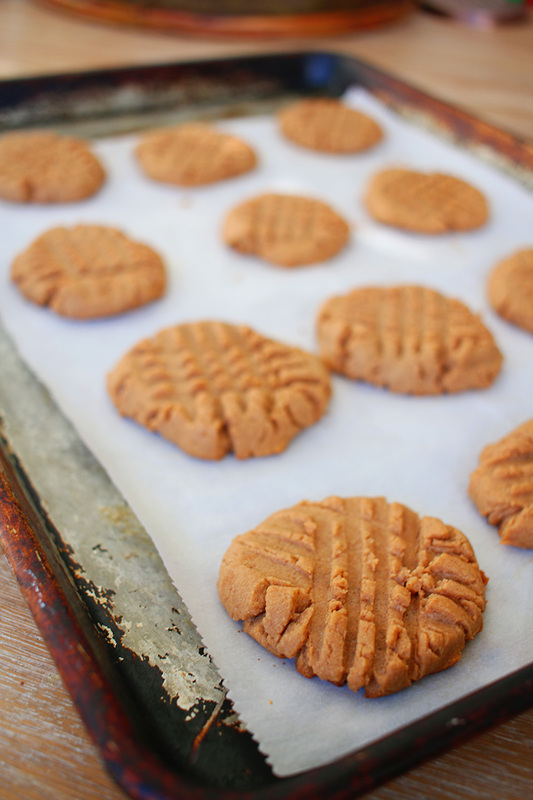 A warm peanut butter cookie straight from the oven is a wonderful thing but add a hint of chocolate for dark chocolate peanut butter cookies & I’m in heaven! 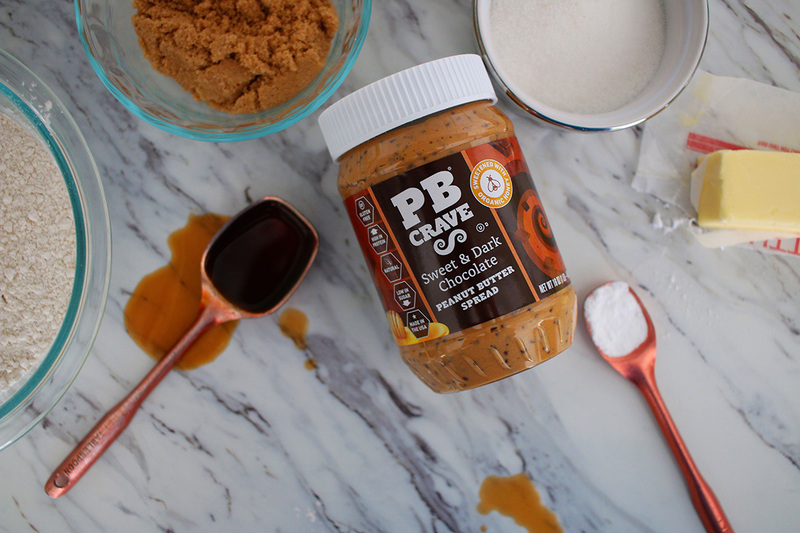 I was so excited when I found out about PB Crave peanut butter spreads, they combine delicious flavors with classic peanut butter for a twist that’s amazing by the spoonful. 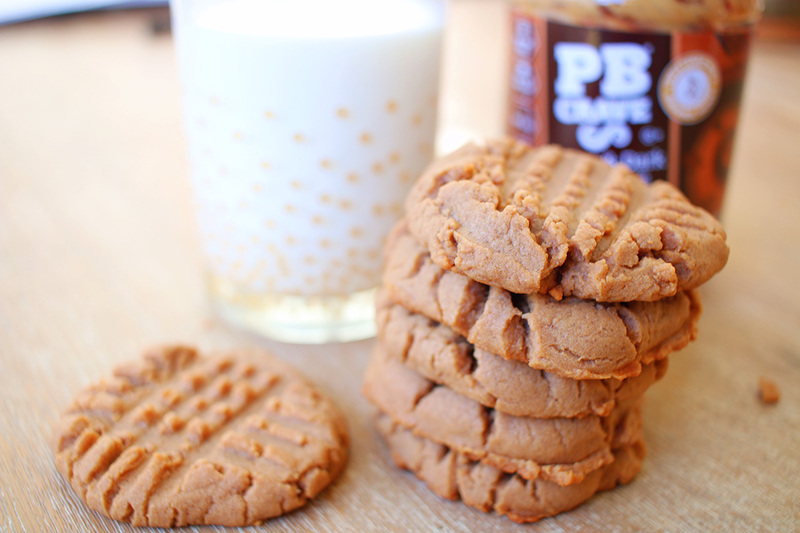 I just can’t help my love of cookies, when PB Crave sent over every flavor of their peanut butter spreads to try..I was intrigued! And then my head went into overdrive…what could I do with all these lovely flavors, you know other than binge watch TV & eat them up with a spoon. 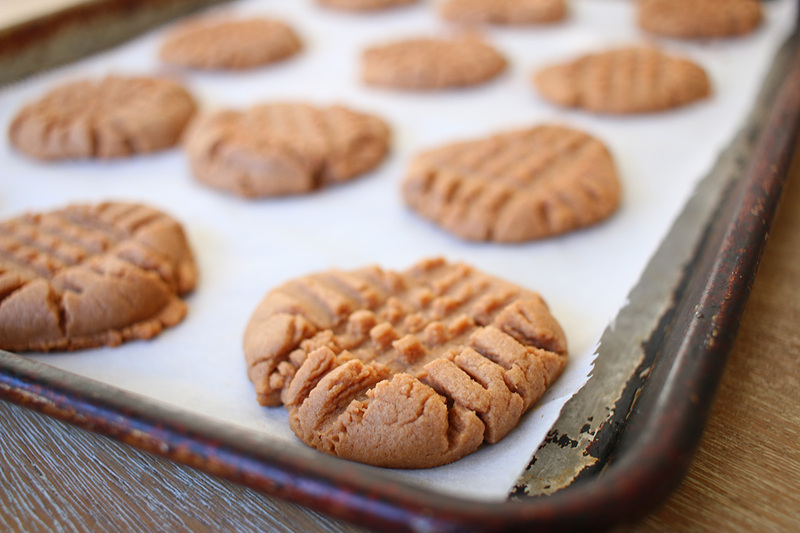 Which I might have done with a jar or two of PB Crave, but the PB Crave Sweet & Dark Chocolate just begged to be brought into cookie form. It has just hints of the dark chocolate, so if you’re feeling like you need an extra bump of chocolate feel free to fold in a cup of your favorite baking chips into the dough before measuring out into balls. Oh and all the flavors can be found on Amazon! 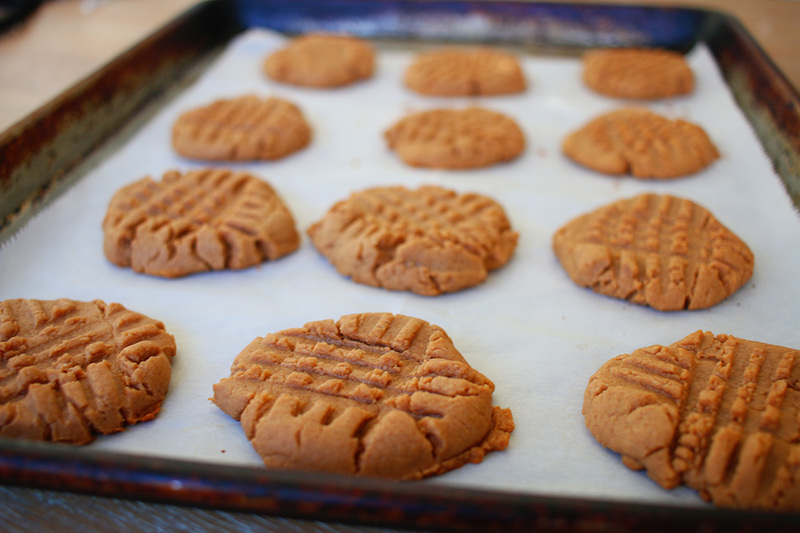 Preheat the oven to 350 F. Line baking pan with parchment paper. 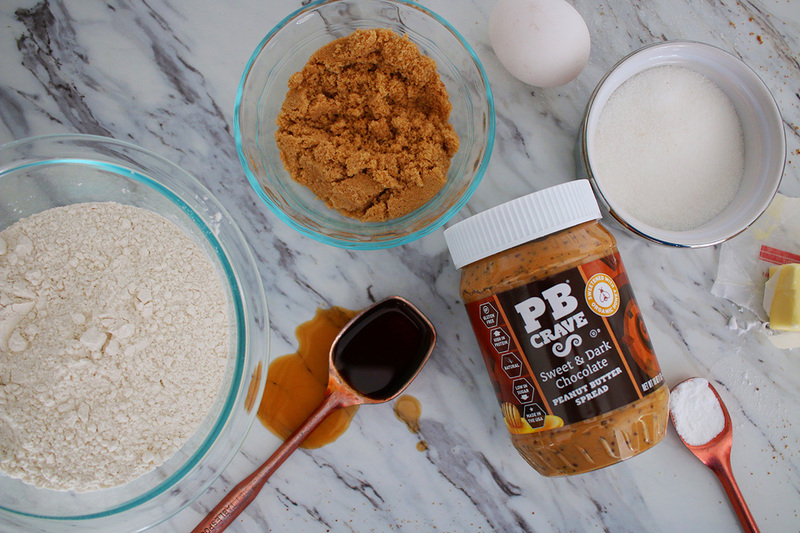 In a large mixing bowl, cream together the PB Crave, butter, sugar and brown sugar. Beat until smooth. Add the egg and vanilla extract, mix until well combined. In a small bowl, whisk together the flour, baking soda & salt. Stir the flour mixture into the butter/sugar mixture. Mix until well combined. Using a tablespoon to measure out the dough into 1 inch balls. Using a fork, slightly flatten each ball and create a criss-cross pattern. Oh wow, these look incredible. 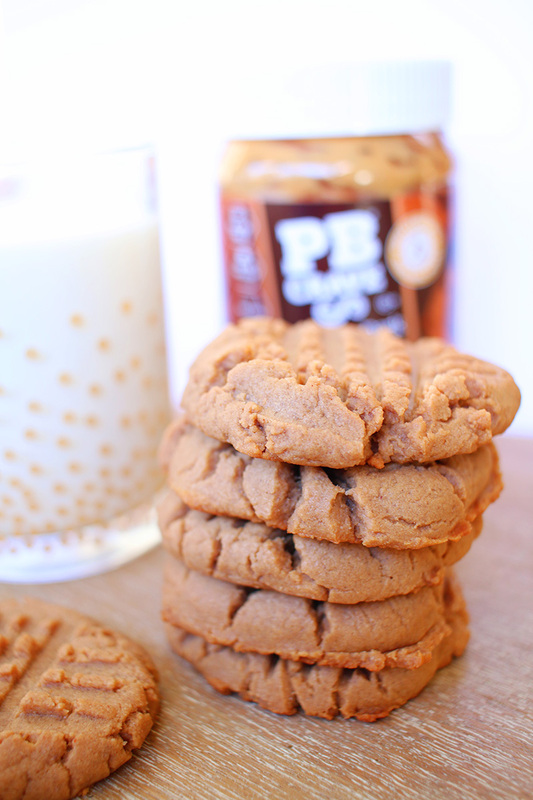 I haven’t have peanut butter in ages either, I must try these out! 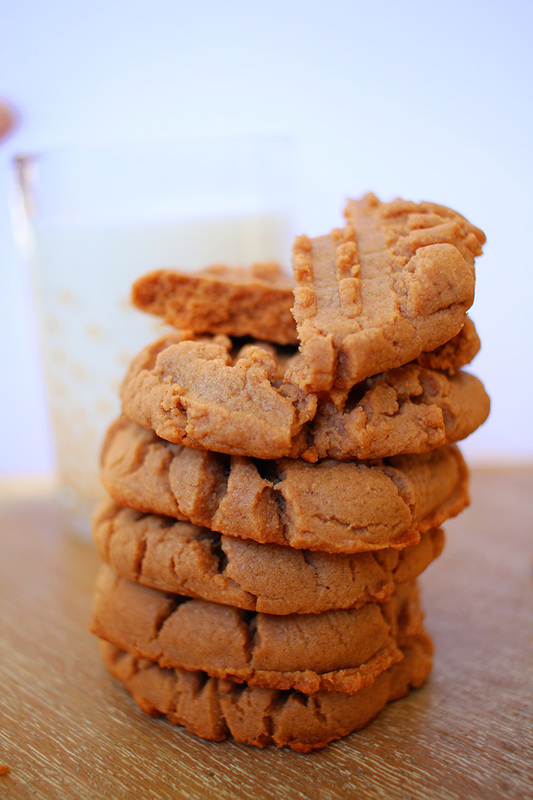 These look amazing. I like your little imprints!